The first incident happened just before 5PM at 3539 Graceland Avenue. 18-year-old Markeewann Ward was found shot to death in an alley east of the address. A gun was found nearby and taken as evidence. 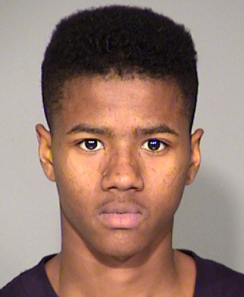 Markeewann Ward, 18, was gunned down Saturday afternoon in an alley near the 3500 block of Graceland Avenue. Police recovered a gun nearby. On Tuesday, police arrested 35-year-old Braumel Mickens on a preliminary charge of murder. He’s being held without bond at the Marion County Jail.